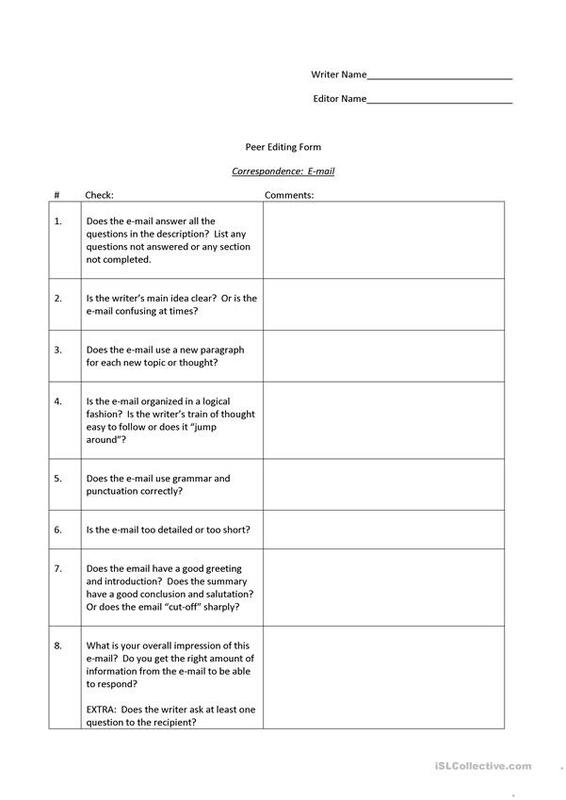 Handout that may be used for peer editing a student written email. This downloadable worksheet is a great resource for high school students and adults at Pre-intermediate (A2) level. It is great for consolidating Formal and informal English (politeness or colloquial language) in English, and can be used for honing your class' Writing skills. msKris is from/lives in Italy and has been a member of iSLCollective since 2011-05-28 14:17:49. msKris last logged in on 2011-05-28 14:17:49, and has shared 1 resources on iSLCollective so far.